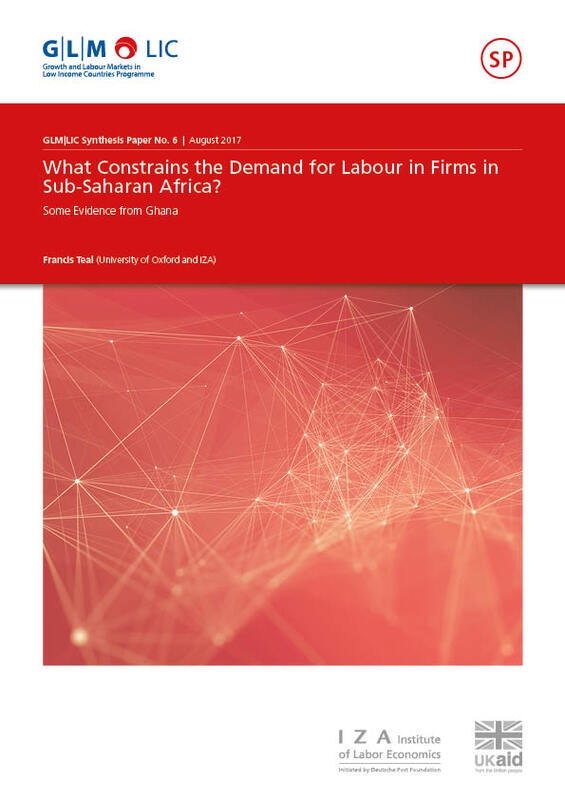 What Constrains the Demand for Labour in Firms in Sub-Saharan Africa? Employment in Ghana’s manufacturing sector remained constant as a share of total employment from 1962 to 2014 at just over 10 per cent. However the share of employment in small scale enterprises, those employing less than 10, doubled in urban areas from 33 to 64 percent of the total. Such enterprises have much lower levels of labour productivity than larger ones. In this paper the possible reasons for this pattern of job expansion in the lower productivity sector are examined by combining census and survey data. It is shown that large firms use a much more capital intensive technology than smaller ones, face lower capital costs and pay higher wages. Possible reasons for these patterns of factor demand and factor prices are examined. Hypotheses that explain higher wages in larger firms include efficiency wages, rent capture, market frictions in search models and a rising labour supply function. Hypotheses that explain lower capital cost include differential access to financial markets and growth for more efficient firms. Matched panel data for workers and firms is available so the role of unobservables can be investigated. Evidence is presented that, conditioning on their efficiency, older firms are not larger. Larger firms face rising labour costs due to a rising supply curve for labour. Such rising costs may well reflect the high returns to physical capital in smaller enterprises.